Oracle Applications User Groups provide an independent forum for users around the world to share their knowledge and experience. O2 Works is firmly committed to contributing to the ongoing success and growth of the OAUG by continuing to share their extensive hands-on Oracle Applications experience, as well as filling key volunteer management positions. Founded in 1990, OAUG provides the pre-eminent international, and independent voice of users of Oracle Applications. OAUG promotes education, networking, communications, and information sharing with a wide range of activities, such as conferences, publications, affiliated group events, and a variety of member services. O2Works consultants and managers are actively involved with the OAUG, participating in recent and upcoming conferences, as well as volunteering for key positions within the organization. O2 Works management currently serves as the OAUG North American GEO Coordinator. For more information please visit www.oaug.org. O2Works management team personnel hold a position on the Board of Directors for the SCOUG. The group holds bi-annual day-long conferences with the SCOAUG, offering the 200+ attendees a database and tools focused conference, as well as one geared towards users of the Oracle E-Business Suite. 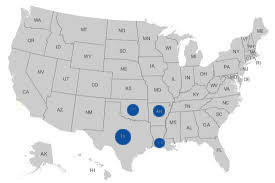 In addition to the conferences, a variety of roadshows have been created to bring the user groups to sites within Texas, Oklahoma, Louisiana and Arkansas. For more information please visit www.scoug.org. Coordinator. It has since grown to one of the largest regional OAUG’s with over 2,000 members. The free bi-annual Training Days draw over 500 attendees from the Midwest and feature 50+ presentations, Oracle Apps demonstration areas, an exhibit hall and more. For more information please visit www.ncoaug.org.